Please take note that we have switched the type of food we are feeding the puppies. 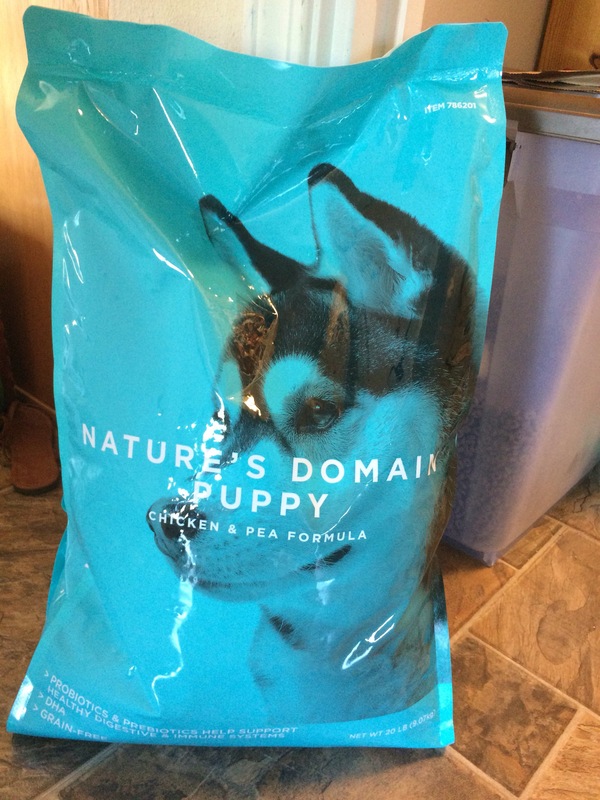 Our Costco no longer has the yellow bag of Kirkland puppy, but they have this brand: Nature’s Domain Puppy. It is a teal colored bag found back with all the other dog foods in the store. It is very important that your puppy doesn’t switch foods unless it is absolutely necessary. If you are unable to get this food from Costco, please let us know so we can send a little extra with the puppy for you to use for the transition period. As always, please email us at silverpawcavachons@gmail.com if you have any questions. Do not leave a comment on this blog post. Thanks!